Freddie Mac reported yesterday that the average 15 year mortgage rate was 2.73%. American Crossroads, a super PAC launched by Karl Rove, is simply incapable of being truthful in its advertisements. FactCheck.org examines a recent fraudulent ad from this PAC which raises the "death panel" claim again. (see PolitiFact | American Crossroads's file for false claims). Disgusting is the appropriate characterization of that organization. Calling this PAC disgusting does not do it justice. 1. Added 60 Xerox at $7.1 Last Wednesday (The $500 to $1,000 Flyers Basket Strategy)(see Disclaimer): I am giving Xerox a promotion from the Lottery Ticket Basket Strategy to The $500 to $1,000 Flyers Basket Strategy. I had bought 40 XRX shares at $7.55 in the LT category which have now been taken out of that category. Bought 40 XRX at 7.55 as LT That re-categorization results in 100 shares held in The $500 to $1,000 Flyers Basket Strategy which is viewed here at HQ as a less risky category than LTs. I frequently control risk by the amount of my investment. Xerox was ex dividend on the date of my 60 share purchase. The current consensus E.P.S. estimate is $1.08 in 2012 and $1.17 in 2013. For the first 2012 quarter, Xerox reported adjusted E.P.S. of 23 cents on $5.5B in revenues. SEC Filed Press Release The company reported that services exceeded more than 1/2 of revenues. Total company revenue increased 2% on a constant currency basis, while services revenue increased by 10% in constant currency. For the second 2012 quarter, Xerox reported an adjusted E.P.S. of 26 cents which excluded 4 cents related to the amortization of intangibles. Registrant's second quarter 2012 earnings press release dated July 20, 2012 Revenues were reported at $5.5B, up just 1% on a constant currency basis. Services revenue increased by 7% in constant currency. The company guided 2012 adjusted earnings to a range between $1.07-$1.12. Morningstar currently has a 5 star rating on XRX, with a FV estimate of $11 and a consider to buy at $7.7 or below. Taking the cost of the 40 XRX shares out of the LT strategy reduces my exposure to $8,819.95 in 41 stocks and increases my buying capacity to $2,373.02 based on the current realized gains of $11,192.97. 2. Added 50 FTE at $12.45 Last Monday (see Disclaimer): Recently, I sold 105+ shares of FTE. Item # 2 Sold 105+FTE at $13.4 I noted then that I would consider buying back those shares at less than $12.5. Instead of buying back the entire 100 share lot, I decided to buy 50 at $12.45 and buy another $50 at less than $11.5. I will only buy FTE shares in my Fidelity or Vanguard brokerage accounts. Item # 2 FTE Dividend-Withholding Tax; Item # 3 Schwab Response on FTE Withholding Tax Those were the only two brokerage firms, used by me, that applied for "relief at source" with France's tax authority. That effort reduced my tax withholding from 30% to 15%. Schwab, Ameritrade and Sharebuilder did not apply for relief at source, and France required FTE to withhold 30% from the last dividend payment. Part of the $2.5 fee would be a $.50 fee connected with the "relief at source" filing for 100 shares. The fee for "relief at source" was raised from $.004 per ADR share, applicable for the last FTE dividend, to $.005 for the most recent FTE dividend. ‎www.dtcc.com.pdf The total cost for obtaining that relief would be 50 cents, which is charged back to me by Fidelity. That filing reduces my tax rate to 15% from 30%. I can confirm that Vanguard withheld 15%, while Schwab and T.D. Ameritrade withheld 30%. 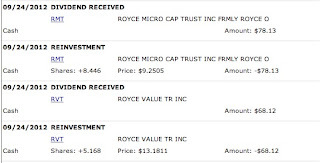 All four firms withheld a $2 ADR fee on 100 shares. In addition to the 50 shares last Monday, I also own 100 shares: Bought Back 100 FTE at $14.82 Those shares have generated two dividend payments. I had profitably exited small positions at higher prices: Sold: 50 FTE at $21.75 (September 2010); Sold: 50 FTE @ $23.18 (December 2010); Sold 50 FTE AT $22.27 (Feb. 2011). I am now back to a 150 FTE share position with a much lower total average cost per share ($14.14). FTE has a 5 star rating from Morningstar with a FV estimate of $23 and a consider to buy target at $16.1 or lower. S & P currently has this stock rated at 4 stars with a $16 twelve month target price. The primary problem is new wireless price competition in France due in large part to the market entry of Iliad, which is causing a double whammy for FTE, reflected in lost customers and lower prices to meet competition. The composite 20 twenty city Case-Shiller index for home prices rose 1.6% in July. This was on top of a 2.3% increase in June. All 20 metropolitan areas experienced positive monthly changes for the third month in a row. Some of the July over June increases: Atlanta +2.6%; Chicago 2.7%; Detroit 3.3%; Minneapolis 3.7%; and Phoenix 2.2%. The Administration sent a strongly worded letter to several hospital associations, which will forward the letter to their members, saying that there will be vigorous prosecutions for improper billing. NYT; Letter From Obama Administration on Hospital Billing The letter notes that prosecutions were 75% higher in 2011 compared to 2008. While recent movements suggest further downside in stocks, based on renewed concerns about Europe and China's growth, the VIX has nonetheless formed a Stable Vix Pattern, marking 3 months of continuous movement below 20. There was one day (7/24/12) during that period when the VIX closed slightly above 20. I did not restart the count based on that one day move. (see introduction, Stocks, Bonds & Politics: VIX) I did not include that day in the 3 month count however. The reason for the three month period is to avoid a false signal. Historically, the Unstable Vix Pattern would have brief periods of movement below 20 before whipsawing back into the high 20s and low 30s. That whipsaw pattern would either reassert itself within a three month period or be extinguished by a continuous movement below 20 lasting for several years, one or the other. The stock market has experienced a sustained upward move during the prior two Stable Vix Patterns. This time may be different. ISM is a senior exchange traded bond issued by SLM. It matures on 1/18/2018 at $25. Prospectus This security pays a monthly interest rate tied to CPI. The penny rate has been declining due to a decrease in the CPI numbers used in the interest rate computation. 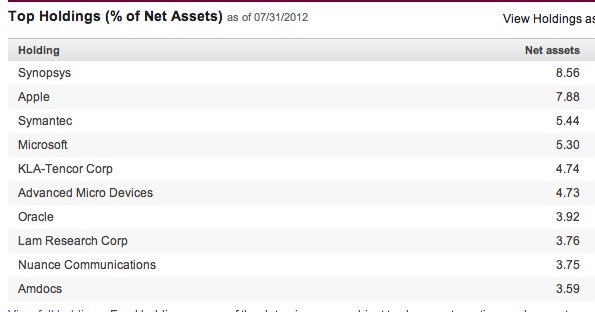 The next payment will be $.0761 per share according to the Fidelity website, with a 10/10/12 ex interest date. ISM paid over 10 cents per share a few months ago. I purchased this bond at 95 last November: Bought 1 Gray Television 10.5% Second Lien Bond Maturing 6/29/2015 at 95 Given the large senior secured credit facility, the 2015 senior secured note is in effect a second lien bond. When I bought the bond, it was rated at CCC by S & P. It is now rated slightly higher at CCC+ by S & P. The Moody's rating is unchanged at Caa2. In short, this second lien bond is extremely risky. FINRA shows $365M outstanding of the 2015 bond. 3. Averaged Down by Buying 50 CSCO at $18.7 Last Tuesday (see Disclaimer): After trading small lots of Cisco successfully, I have not had an opportunity to sell 100 shares, purchased in two 50 share lots, at a profit. Bought Back 50 CSCO at $19.95 (February 2012); Bought 50 CSCO @ 19.55. At least those are better entry prices than the $77 price tag from 2000. CSCO Interactive Chart Anyone buying in 2000, who still owns the stock, will likely never recover. Cisco recently increased its quarterly dividend by 75% to 14 cents per share. At that rate, the dividend yield would be about 3% at a total cost of $18.7. I am reinvesting the dividend. The current F/Y consensus E.P.S. estimate is for $1.95 (2013 F/Y ending July 2013) and $2.09 for the 2014 F/Y. The forward P/E would be less than 9 on the F/Y 2014 estimate and a $18.7 share price. Cisco is currently rated at 4 stars by Morningstar with a consider to buy target of $16.8 or less and a FV estimate of $24. Will electronic medical records reduce costs? The government is spending billions to coax physicians and hospitals to digitize records and billings. 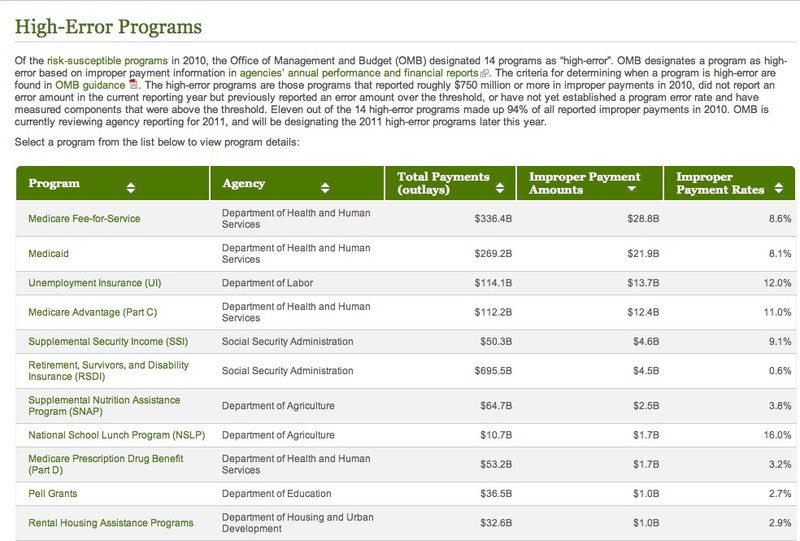 The Obama American Recovery and Reinvestment Act of 2009 provided about $17 billion in incentives for hospitals and physicians to adopt electronic records and billing. AAFP While electronic records will improve care and cut down on some mistakes which are rampant in health care, electronic billing may make it easier to erroneously bill Medicare and insurance companies. A NYT article published last week pointed out that costs have risen with the adoption of electronic billing. While the providers claim of course that their adoption of electronic billing resulted in more accurate billing, which is why the costs skyrocketed, the software used for billing makes it easy for providers to bill for services that were never rendered to the patient. One hospital in Nashville, Baptist, saw a 82% increase in billing from its emergency room care in 2010 after adopting electronic billing. One could convincingly argue that U.S. hospitals are better than most of the ones operating in third world countries. However, when reading articles critical of U.S. hospitals, it is difficult to have a high comfort level in their quality. An article in the WSJ noted that medical mistakes in the U.S. kill enough people each week to fill four jumbo jets. If medical errors were a disease, they would be the sixth leading cause of death in the U.S. It is almost impossible to fathom, for example, that a doctor will operate on the wrong body part, but that negligent act is committed almost 40 times a week. Have you ever read a story where a doctor removed a patient's good kidney rather than the diseased one? Last month the KWK CEO stated that the company was in advanced talks for two joint ventures. This joint development deal with Shell is not one of them. 2. Commodities: Goldman Sachs forecasts a 18.2% rise in the S & P GSCI Commodity Index over the next 12 months. That prediction includes a rise of 26.5% in energy and 10% in industrial metals. There is a "non-standard" ETF that tracks this index, offered by iShares. iShares S&P GSCI(R) Commodity-Indexed Trust (GSG) This index had a 68.03% weighting in energy as of 9/21. Last SEC Filed Quarterly Report: Form 10-Q for iShares S&P GSCI Commodity Indexed-Trust This fund holds long positions in futures contracts on the S & P GSCI Excess Return Index. 3. Sold 100 LMLP at $3.4 Last Monday (Lottery Ticket Basket Strategy)(see Disclaimer): At last Friday's close of $1.87, LMLP Historical Prices, I was at break-even on my 100 shares bought at $1.8-LT Category (March 2012). I noticed Monday morning that I had an unrealized gain of almost 81% based on the price action that morning. Digital River announced that it was acquiring LML Payment Systems. Digital River had agreed to pay $3.45 in cash for each LMLP share. I saw no reason to hang around for that payment. After commissions, I realized a gain of $144.08 on a total investment of $187.95. The bearish case for the Australian Dollar is set forth in this Bloomberg article. I plan to implement an Australian Dollar strategy, similar to my Canadian Dollar (CAD) Strategy, when I can buy at least 1.05 AUDs for each USD. Trigger Event starts on 8/3/2007 with move to 25.16 from 21.22, though presaged by elevated moves above 20 in late July, and continues for several weeks: Historical Prices The key elements leading to the Trigger Event classification are the high 20 numbers (25-30), two closes above 30 and the uninterrupted duration of the plus 20 numbers (7/26/2007 to 9/20/07), in combination with several high 20 and low 30 numbers. This was just a clear breakdown in the Stable Vix Pattern that would later be confirmed twice in the characteristic whipsaw movement of the Unstable Vix Pattern (November 2007 and January 2008, VIX Historical Prices). Multiple confirmations add to the credibility of the first sell signal given in August 2007. If the VIX closes below 20 today and tomorrow, which will happen, the Stable Vix Pattern will be formed, replacing the Unstable Vix Pattern in force since August 2007. The Stable Vix Pattern will last until the next Trigger Event. Mark Hulbert and the Use of the VIX as a Timing Model The duration of this cycle can not be known. Since 1990, there have been two Stable Vix Pattern periods, the one referred to above which lasted slightly more than 3 1/2 years and the earlier one which lasted almost 6 1/2 years. VIX and S & P Compared 1990 to 1997 (May 1991 to October 1997). I suspect that the duration has something to do with whether the Stable VIX Patterns occurs in either a long term secular bull or bear market. A longer duration and far more powerful Stable Vix Pattern cycle can occur within the context of a long term secular bull market which was the case for the 5/1991-10/1997 cycle. A shorter and less powerful cycle would be anticipated for a Stable Vix Pattern formed within the context of a long term secular bear market. That was the case for the 1/2004-8/2007 cycle. If this next green light signal proves correct, which would mean significantly more upside to stocks based on historical observations, then the next Stable Vix Pattern would have to be occurring within the context of a long term secular bull market given the market's bull move since March 2009, whether or not anyone believes it now. There can be Unstable Vix Patterns in long term bull markets, such as the one formed before the 1987 crash. What it Does not Predict is as Important as What it Does/Parallels to VXO 1987-1988 (May 2009); When VIX Model Gives A Signal To Change Asset Allocation-Each Individual Needs to Assess Their Own Situational Risks (May 2009). Goldman still sees stocks declining into year end due to the fiscal cliff. Their Chief Strategist, David Kostin, predicts the S & P 500 will fall to around 1250 by year end, once investors start to focus on the dysfunctional political parties again and the upcoming fiscal cliff That would be about a 14% decline from yesterday's close. How can Mr. Kostin be so positive that jumping off the fiscal cliff will be viewed negatively by the market after a brief period of indigestion? The near universal opinion is that doing nothing will be bad for both the stock market and the economy. The majority opinion also appears to be that Congress will do something to avoid the fiscal cliff, most likely with some patchwork deal before 1/1/13 that kicks the can down the road a few months. I would not have much confidence in republicans and democrats reaching anything remotely resembling a sensible long term plan to address the U.S. government's looming budget train wreck before 1/1/13 or at anytime thereafter. Given the inability of the two political parties to reach a sensible deal involving both revenue increases and spending cuts, I have a contrary view about the upcoming fiscal cliff. I view it as a long term positive. Bring it on. End the Bush tax cuts for everyone on 1/1/13 and allow the automatic spending cuts to take effect. That is probably the only plan that can actually be accomplished politically that would deal with the budget deficits in a meaningful way. It is certainly not the best plan for dealing with annual trillion dollar budget deficits, but it may be the only one capable of implementation under the circumstances. The U.S. economy did just fine under the Clinton tax scheme. Those were good years for job creation and the stock market. The budget was balanced as the baton passed to Bush Junior. Now if the Republicans cause the U.S. to default on its debt by refusing to raise the debt ceiling, unless the Koch brothers receive a big tax cut, then all bets are off. The automatic spending cuts grew out of the GOP linking an increase in the Federal Debt Ceiling to spending reductions earlier this year. Linking anything to the approval of a debt ceiling increase is viewed as exceedingly irresponsible and potentially disastrous for the U.S., but that will not deter Know Nothings from doing it again. His 2011 tax return mentions the Cayman Islands on at least 28 pages. The personal return is 379 pages. There are three trust returns with another 434 pages. The Romneys are sending the IRS paper copies of those returns, rather than filing them electronically, and someone from the IRS will have to key in over 800 pages of numbers. Romney recently stated that he had never paid an effective tax rate of less than 13%. Video - ABC News The tax rate for 2011 was artificially picked by the Romneys at 14.1%. This was done by not claiming the full $4 million in charitable deductions. By deducting only $2.25M of the $4M, Romney was able to raise his 2011 tax rate from about 10.4% to 14.1%. WSJ ABC News In other words, he intentionally paid more than was owed to the government in taxes. 2. Sold 50 STKL at $6.64 Last Friday (Lottery Ticket Basket Strategy)(see Disclaimer): I am simply clipping some profits in LT selections. Sunopta has rallied strongly since early August 2012, STKL Interactive Chart, rising about 36% since the $4.91 close on 8/6 to the $6.69 close last Friday. Item # 2 Bought As Lottery Ticket: 50 STKL at $5.25 In that post, I also include a snapshot of two earlier 100 share trades in STKL shares where I netted $807.93 with the last sale being at over $15 per share. Those 2008 transactions occurred before the bottom fell out, which led to my downgrading STKL's common stock to the lowly Lottery Ticket category and to the first LT buy at $1.65 (December 2008). Buy of 100 Sunopta at $1.65- Sold 100 LT Sunopta at $4.06 (snapshot in same post). This last STKL transaction brings my realized gains for the LT basket strategy to over $11,000, see snapshots at Stocks, Bonds & Politics: Lottery Ticket Strategy: New Gateway Post. I have nothing to add to that discussion except that many large cap technology stocks appear undervalued to me. Those numbers will change with the respective stock prices, the period covered by the forward P/E, and the consensus analyst estimate numbers. With the exception of GOOG, CHKP and GLW, the ratios decreased slightly yesterday based on stable consensus estimates and decreases in price. 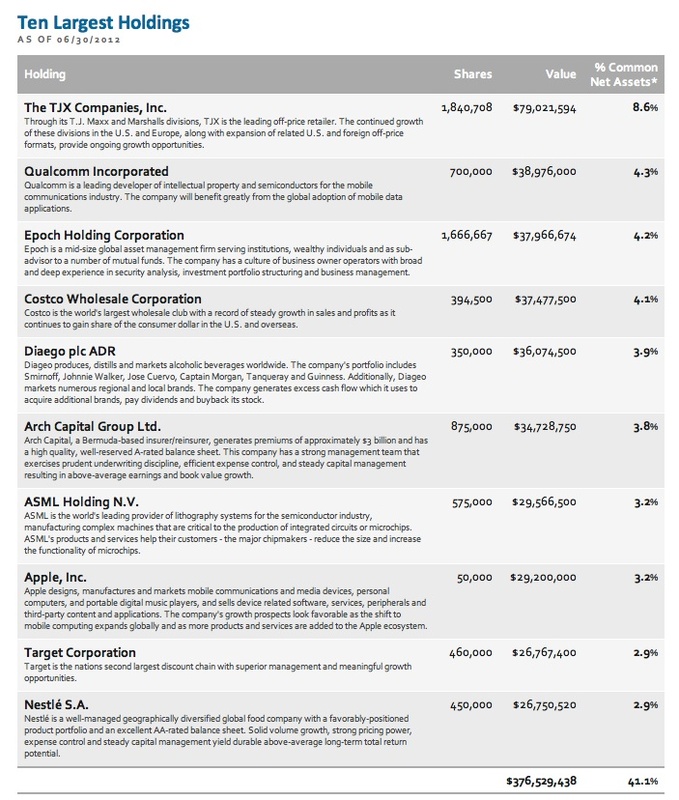 As noted in the YF Key Statistics pages for these companies, most of them are loaded with cash. I currently have an abnormal amount of cash in my ROTH IRA money market account earning nothing. Frequently, I read a story about a political advertisement that tells me a great deal about a candidate. I am not referring to the candidate who is attacked in the ad but to the politician who sponsors it. FactCheck.org examines a recent Romney ad that contains numerous false statements that are intended to deceive the listener. For the ad to work, the listener would need to be both completely ignorant about the Federal Reserve and its operations and generally susceptible to reality creation. The Atlantic calls the Romney ad bizarre for a variety of reasons including its blatant untruthfulness. The Federal Reserve is an independent body whose members can not be removed by the President. FRB: Who are the members of the Federal Reserve Board, and how are they selected? The current Chairman, Ben Bernanke, was first appointed by Bush and served as that President's economic advisor prior to being appointed to the Federal Reserve. The Fed is not using taxpayer money in its QE operations. The Romney ad blames the Obama administration for the Federal Reserve's monetary policy and makes the outrageous assertion that taxpayer money is being used to purchase the $40B of mortgage securities per month under QE3. And, as pointed out in the FactCheck article, the Fed has been making tens of billions each year, resulting from its QE operations, and has been turning the profits over to the treasury. 1. General Mills (own: Common Stock Dividend Growth Strategy): General Mills reported net income per share of 66 cents for its first fiscal quarter, excluding items, beating the consensus estimate of 62 cents. Revenues increased 5% to $4.05B. Sales in the U.S. declined 1% but gained 36% internationally excluding foreign exchange. Gross margin rose to 40.2% from 37.6%, as input costs rose .9%. Most of the volume growth was driven by acquisitions. Cash flow, provided by operating activities, was $489M for the quarter, up 11% from a year ago. GIS purchased 7 million shares at a total cost of $272M during the quarter. 2. Sold 100 MLPA at $15.31 and Bought 100 MDIV at $20.4 Last Wednesday-Roth IRA (see Disclaimer): I discussed MDIV in a post last week. Bought 100 MDIV at $20.51 I have nothing to add to that discussion other than to explain why I substituted MDIV for MLPA. I mentioned in an earlier post that I would sell one of my MLP ETFs and substitute MDIV in its place. MLPA is a MLP ETF and does not qualify as a regulated investment company under the Internal Revenue Code because it has more than 25% of its assets invested in MLPs. It will consequently be taxed as a regular corporation for federal income tax purposes. Prospectus at pp. 3, 6-7. By having more than 25% of its assets in MLPs, the MLP ETF fails to meet the Registered Investment Company tax requirements, as explained in this missive. When those requirements are met, the fund receives a deduction for the distributions made to its shareholders, thereby avoiding double taxation. The MLP ETF will be taxed at the corporate level on the taxable income received by it, creating both current and deferred tax liabilities that will cause the fund to underperform its benchmark index. (see discussion at pages 6-7 of the MLPA prospectus). After thinking about this issue, I decided to backtrack from MLP ETFs and to keep for now only the 200 shares of YMLP. As explained in a post last week, MDIV will own MLPs but will keep the weighting below 25%, so that it can be taxed as a Regulated Investment Company under the Investment Company Act of 1940. This seems to me to be the preferable solution to my MLP problem. I still gain some exposure to MLPs with MDIV, while avoiding the double taxation issue associated with MLP ETFs. I also avoid the creditor risk issue inherent in exchange traded notes (ETNs), which I prefer to avoid altogether, and the tax preparation headache resulting from ownership of individual issues. I recently bought the 100 shares of MLPA and sold those shares at a small profit. Bought 100 MLPA at $14.75-Roth IRA I did not own those shares long enough to receive a quarterly dividend. Last Friday, the sponsor declared the first quarterly dividend for MDIV. First Trust Advisors The dividend was only 3.65 cents per share, with a 9/21/12 ex dividend date. Since this is a new fund, that amount would not be representative of a normal quarterly dividend. 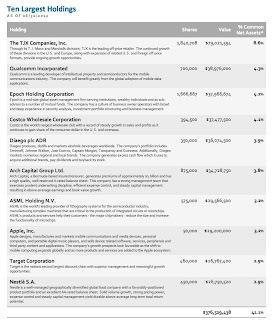 The 2012 4th quarter dividend will be the first full quarter for this fund. The fund's web page shows the index yield to be 6.88%, as of 8/31/12, and the expense ratio of .6% would have to be deducted from that number to arrive at the fund's possible yield, assuming a perfect tracking of the pertinent index. Until there are four full quarters, I do not know what the yield will be at my cost, but suspect that it will be in the 6-6.25% range. I bought the shares sold last Friday at $22.14. The remaining open market purchases were made at $18 and at $19.65. The purchase of 50 shares at $19.65 was made in mid-August 2012 after selling 50 shares at $23.5 (7/3/12 Post). In this trading tactic, I will not buy the 50 shares back again unless I can lower my average cost. As a practical matter, I would not likely buy those shares back above $17.5 which I could then substitute for the 50 shares bought at $18. He highlights another risk for BABs owners arising from the upcoming fiscal cliff. If nothing is done to change current law, then there will be across the board sequestration in the federal government's expenditures on 1/1/13. 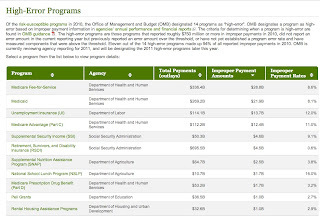 The federal government pays 35% of the BABs interest in lieu of granting the tax exemption. Part of those funds would be sequestered, estimated at about 7.6% of the subsidy, a number that originates from a report prepared by the Office of Management and Budget. While that would not cause an issuer to default, some issuers have reserved the right to call BABs if the government fails to pay its subsidy. Since many of these bonds sell at par value, BABs could lose value in that eventuality. 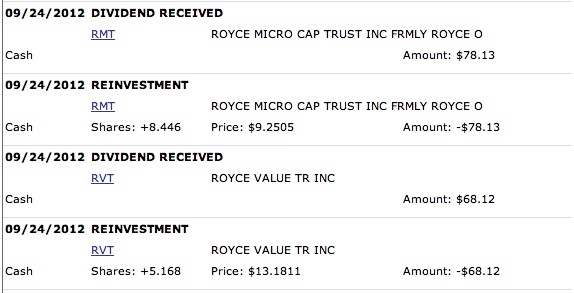 I own two CEFs that invest in BABs, NBB and NBD. Forsyth mentions GBAB, which I have bought and sold. Moody's downgraded R.R. Donnelley senior unsecured debt to Ba3 from Ba2 with a negative outlook. I own two RRD bonds. Bought Back R.R. Donnelley 8.875% Senior Bond Maturing in 2021 at $96.95; Bought 1 R.R. Donnelley 6.125% Senior Bond Maturing 1/15/2017 at 89 The 6.125% 2017 RRD bond has been trading recently over its par value. If there was a bid willing to accept my one bond at any price above par, I would sell that bond. The lowest minimum amount attached to any bid has been two bonds. ‎Markit reported yesterday that the "flash" Eurozone services PMI hit a 38 month low at 46, while the flash manufacturing PMI rose to 46 from 45.1 in August. The composite index was 45.9 in September, down from 46.3 in August. The Philly Fed reported that its business conditions index rose to -1.9 in September from a negative 7.1 in August. The new orders component rose to +1 from -5.5 in August. Freddie Mac reported yesterday that the average 15 year mortgage hit a new low at 2.77%. 1. Sold 3 out of 4 Sears 6.625% Senior Secured Bonds Maturing in 2018 at $95.002 Last Monday (Junk Bond Ladder Strategy)(see Disclaimer): I am keeping one of these bonds, purchased in the Roth IRA. Recently, I added two bonds in a taxable account in order to improve my liquidity. ADDED 2 Sears Holding Senior Secured 6.625% Bonds Maturing 10/15/2018 at $89.75 (8/21/12 Post). Prior to that add, I had bought only one bond and could not sell it online since there were no buyers willing to accept a one bond lot. Bought 1 Sears Holding 6.625% Senior Secured Bond Maturing 10/15/2018 at 83.25 I mentioned in my 8/21/12 post that "I would be leaning strongly toward selling at above 95". FINRA - Investor Information on 2018 bond. 2. 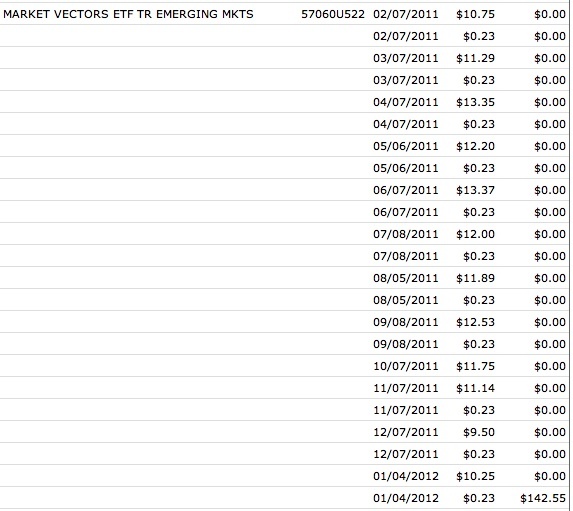 Sold 100 of the Bond ETF EMLC at $26.55 Last Tuesday (see Disclaimer): I bought this ETF back in September 2010. 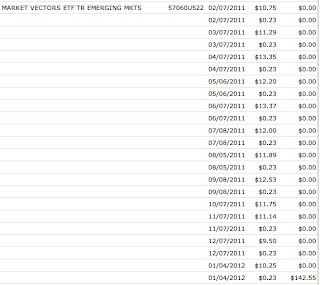 Bought 100 of the ETF EMLC at 26.18 I realized a gain of $21.04 on the shares plus two years of monthly dividends. This bond fund has three known and fundamental risks attached to it. There is the currency risk which may often be overlooked by individual investors. Interest rate and credit risks of course are also present. At the current monthly dividend rate of $.095 per share, subject to further reduction, the yield at a total cost of $25.55 is about 4.3%. This is normal for bond funds in the current rate environment. As bonds mature, or are redeemed, the proceeds are reinvested in lower yielding securities due to the worldwide decline in yields for all bond classes. With some bonds, like the five and ten year U.S. TIPs, the current yield is negative. Given the declining income paid by this security, and its risks, I decided to exit the position while I had a profit and after receiving $257.36 in dividends. 3. BOUGHT 50 of the Stock ETF DWX at $47.56 Last Tuesday (see Disclaimer): This selection is my replacement for the bond ETF EMLC. The international dividend ETF DWX has a higher yield than the bond ETF EMLC by almost 3% at current prices and yields. I will consider averaging down with another 50 share purchase at below $45. In addition to the stock ETF's higher current yield, stocks have the prospect for increasing their payouts, whereas the fixed coupon bond fund, particularly one owning shorter maturities, will likely be reducing its payout, at least for a few more years. EMLC has an average modified duration for its bonds of 4.91 and an average years to maturity of 7.3. Market Vectors® Emerging Markets Local Currency Bond ETF - EMLC While the shorter duration cuts down on interest rate risks, it will also result in lower yields as bonds mature or are redeemed early during a period of declining rates. As a class, international dividend stocks have underperformed U.S. dividend stocks since March 2009. This can be seen by simply overlaying the charts of DVY (U.S. Dividend ETF) and DWX (International Dividend ETF). SPDR S&P International Dividend ETF Chart DVY is up close to 100% since 3/2/99 whereas DWX is up closer to 80%. If I go back to the launch date for DWX in 2/2008, the difference becomes even more pronounced, with DWX down close to 35% compared to a 5% or so loss in DVY, excluding dividends. The international dividend ETFs have been hurt recently by the decline in European shares. I decided to go with DWX due to the higher dividend yield and slightly lower cost. I am more familiar with the IDV holdings. DWX contains a number of companies that are not well known to U.S. investors including me. The CEF Petroleum & Resources adopted a managed distribution policy, whereby the fund committed to pay a minimum payout of 6% annualized. The amount will be calculated using the average month-end market price of PEO common stock. As with Adams Express, PEO will pay small quarterly distributions with the bulk of the dividends paid in the 4th quarter. I would anticipate that most of the 4th quarter distribution will be capital gains. I recently bought back 100 shares of PEO. Bought 100 of the Stock CEF PEO at $24.98 (August 2012 Post). The fund has a large amount of unrealized capital gains that can be tapped to support that 4th quarter distribution without resorting to a return of capital. The semi-annual report for the period ending JUNE 30, 2012 shows an unrealized gain of $259+M at page 11. That report also shows at page 2 that the fund has realized $19,185,714 or $.75 per share in net capital gains for the 2012 first six months. Microsoft boosted its quarterly dividend by 15%, raising it by 3 cents to 23 cents per share. According to Bloomberg, the IMF is preparing to censure Argentina's government for failing to report accurate data. I mentioned that Argentina's government, headed by Cristina Fernandez de Kirchner, was substantially underreporting the inflation rate. 4/2/12 Post The actual inflation rate is easily running over 20%, with the government's latest number claiming about 1/2 of that amount. Argentina is now, and has been for decades, a country whose potential has been ruined by inept and totally incompetent politicians. Item # 3 3/28/12 Post. The holdings are similar to the mutual fund SLMCX: Top 25 Unlike the mutual fund, I did not have to pay a sales load when purchasing the CEF STK. Instead, when STK was originally offered to the public in an IPO, the purchasers were charged then a 4.5% load, see page 23 Prospectus. The offering price was $20 per share, so the fund was left with assets of $19.3 per share after the sales charge and another .2% was lost in IPO offering expenses. On the day of my purchase (9/14/12), STK closed at $16.23. Based on a net asset value per share of $17.03, the discount to net asset value was -4.7 at that time. 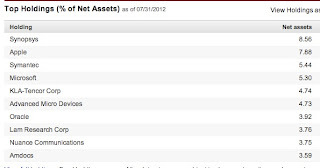 SEC Filed Shareholder Report for the period ending 6/30/12: Columbia Seligman Premium Technology Growth Fund, Inc. The expense ratio is shown at page 13 of that report and has ranged between 1.1% to 1.22% since inception. STK page at Morningstar. As shown at that page, the dividend has been significantly supported by a return of capital. If the fund does not start earning this distribution with realized capital gains, I would anticipate a reduction of the dividend. 2. Sold 50 HMA at $8.41 Last Friday (Lottery Ticket Basket Strategy)(see Disclaimer): The LT strategy is not taken seriously at HQ and is intended for the RB's amusement. This transaction brings my realized gains to $10,988.70 and decreases my total dollar exposure to the remaining 44 stocks to $9,569.9, see snapshots at the end of Stocks, Bonds & Politics: Lottery Ticket Strategy: New Gateway Post. Under this rule based strategy, the difference between the total realized gain and the total outstanding cost ($1,418.8) can be used to buy more LTs. 3. Bought 100 Shares of the Stock CEF GAM at $29.52 Last Monday (see disclaimer): General American Investors Co. (GAM) is a stock CEF that has been around for a long time. Of those holdings, I was unfamiliar only with Epoch Holdings, EPHC Interactive Chart (Form 10-K). This fund does not do much trading so I would not expect much of a weighting change since 6/30. Last Friday, GAM closed at $29.54, with a net asset value per share of $35.07, creating a discount to net asset value at that time of -15.77. GAM website: General American Investors. This fund focuses on long term appreciation "with growth potential at reasonable valuations", rather than current income. Morningstar gives the fund two stars. Recently, dividends have been paid annually with a November ex dividend date. The fund was launched in 1927 and is one of the few CEFs that survived the 1929 Crash and the Great Depression. Adams Express is another one.